Comprising of a showroom, two factories, and a skilled and knowledgable team of craftsmen and designers, Coda Industries has become a one-stop shop for those looking to create beautiful spaces. We build modern custom made furniture inspired by decades of Italian design without the Made in Italy price or wait time. High quality, low cost, long lasting custom piece in just weeks. We manufacture exactly what you are looking for by our own skilled craftsmen in our own Los Angeles factory: custom sofas, custom chairs; storage ottomans, upholstered headboards and custom beds and more. Your design or ours, we bring it to life giving you years of great looking decor, complements and quality to your living environment, all while buying local and Made in America. We successful build sight unseen furniture for clients all over the country in 3 to 4 weeks shipped right to your door or set up in your home. At Mango Home, our mission is to supply our customers the best outdoor patio products at the best possible price, and provide 5 star customer service. Marco Polo Imports is a family-owned and operated business since 1998. Our dedicated and knowledgeable staff are glad to help you explore our magnificent 10,000sq ft showroom. At Marco Polo Imports, we are always ahead of trends and we pride ourselves on finding the unique, elegant and innovative designs that keep our loyal clients coming back time and time again. Some of our clients come back weekly to get inspired by our fresh new designs, vintage pieces and one of a kind items. We import unique, sustainable pieces from 11 different countries around the world. Our store is best known for environmentally friendly furniture crafted of materials such as antique recycled pillars and railroad wood ties, old wood from merchant ships and other interesting finds. Modern production technology, combined with the richness of reclaimed hard woods like teak and mahogany and hard-rubbed finishes, are the hallmarks of our collections. In addition to furniture imports, Marco Polo Imports creates custom carpentry and upholstered furnishings. Our showroom design center is dedicated to displaying thousands of different fabrics for your custom design. With the help of our talented team of design consultants, clients are able to create custom furniture made to measure. The Marco Polo Imports team is committed to providing quality personalized service to all of our clients. We invite you to stop by our store to experience the magic of Marco Polo Imports. LA's TV Lift Cabinet System Specialist 4X Best of Houzz! Transforming a house into a home that’s uniquely and beautifully yours is what our team at West Coast Living Thomasville has been doing for 115 years! Craving coastal casual? Going for classic glam? No matter whether your look is mid-century modern, traditional, transitional or an eclectic combination all your own, our complimentary interior design services and customer-focused staff can bring it to life. Trust us for high-end, designer furniture from names like Tommy Bahama, Lexington, Stickley, Century, Bernhardt, Drexel, Henredon, Thayer Coggin, Bradington Young, Thomasville, the ED Collection by Ellen DeGeneres and more as well as a wide and diverse selection of accessories to fit every style. These quality names are backed by exceptional customer service in each of our five family owned and operated locations - Huntington Beach, Laguna Niguel, South Bay, Tustin Market Place, and Yorba Linda. Plus, our in-house delivery team will safeguard your order, making sure it arrives in perfect condition and right on time to transform your home. Heather and Chris Holme are a husband and wife team who create functional art pieces. Their goal is to make furniture an artistic and functional part of their clients' lives. 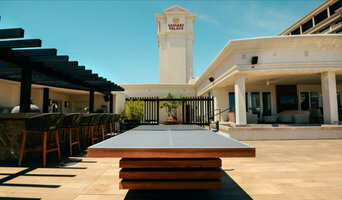 Our mission is to provide Orange County with a no hassle, and enjoyable experience when purchasing a billiards table. Our extremely experienced staff is here to guide you through the entire process! By working with us, you will find our representatives working in hand with our craftsmen, upholsterers, and plant managers. Your products also will be of excellent quality and delivered on time. One needs a certain verve and appreciation for life’s simple luxuries. Fortunately, that kind of flair can be bought. You will find what you need to live the good life at Maison Midi! Our design lines are inspired by the most current trends in Modern, Contemporary, Traditional and Eclectic styling. 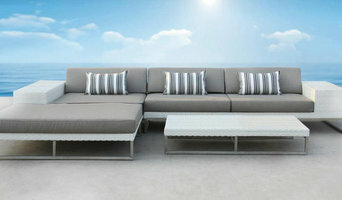 Import and distribution of furniture designed and manufactured in Spain. California Modern Woodworks is a furniture design firm based in Los Angeles.Our pieces consist of hand crafted luxury credenzas and tables. We incorporate various medias in our design. Our unique position as a factory-owned distributor allows us to leverage our strengths in manufacturing by providing you with extremely high standards in quality & the service you expect and deserve. From the beginning, Rove set in place a vision and philosophy that beautiful icons of furniture design should not be an elusive possession only affordable by the few. Charme d'Antan offers a wide selection of 17th through early 20th century unique elements. Each item is salvaged from European mansions and farm houses. Having begun our careers in the design industry, we often encountered clients seeking high-end gaming tables that proved difficult to find in the market. We understood the importance of workmanship and exclusivity but, in those early stages, we weren’t exactly the gaming experts we are now. What we always knew was that we could offer custom craftsmanship and supply our discerning international clientele with stunning designs, but our real success came when we figured out that we could add one more crucial element—superior playability. 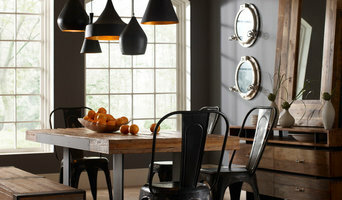 Special Pricing for Houzz Customers ! What makes this design center stand out is our rare ability to source high end, unique furniture from Italy, South Africa, Indonesia & Asia & have exclusivity on many of these fabulous collections. We are a small gallery featuring fine art furniture by local artisans and photography (silver gelatin prints). Ross Alan Reclaimed Lumber can answer any questions about the lumber or help your idea come to life. We offer amazing prices in Barnwood siding, dimensional hardwoods & beams from 200+ year old barns. FV Custom Furniture & Design brings you custom furniture and cabinet design. We offer the best in quality and installation. Call to learn more about our custom solutions. Founded in 1981, our goal is to create the most enchanting nurseries and children's rooms. To create a beautiful room for your little one, our attention is focused on every detail throughout the design/build process. Using old world craftsmanship techniques in our state of the art factory in Southern California, the quality of our products is second to none. Our clients are located around the world, although many visit us in our flagship Beverly Hills showroom. We invite you to view our work and share our passion for timeless design and exquisite details. Los Angeles Furniture Importer Best of Houzz 2015! Design and manufacture high end concrete products like tiles, sinks, bath tubs, fire pits, fire places, countertops, and table tops. 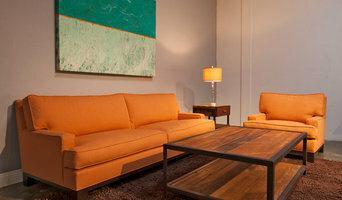 Planning on buying new furniture and accessories for your Santa Monica, CA home? A wide range of home furnishings and home decor accessories are available in the marketplace. If this is your first home, check out our directory of furniture retailers in your area for ideas and cost comparisons. Or you may already have a favorite style and a furniture retailer that you’ve worked with in the past. Whatever your situation, it’s always a good idea to do some research before visiting a Santa Monica, CA retailer or finding a custom furnishings manufacturer. Take your time on any buying decisions. If contemporary is your style, don’t buy something traditional because it’s on sale. Many California home furnishers offer interior design consultations or room planning guides to get you started. Whether you decide to work with a home decor specialist or to become your own expert, it’s important not to rush the furniture-buying process. Visit plenty of Santa Monica, CA showrooms and stores so you can feel comfortable with your purchase. Find furniture and accessories manufacturers, showrooms and retailers on Houzz. Narrow your search in the Professionals section of the website to Santa Monica, CA furniture and accessories, then choose the nearest metro area for showrooms and retailers. Or you may want to look through California photos to find designs you like and contact the furniture manufacturers and showroom galleries directly.